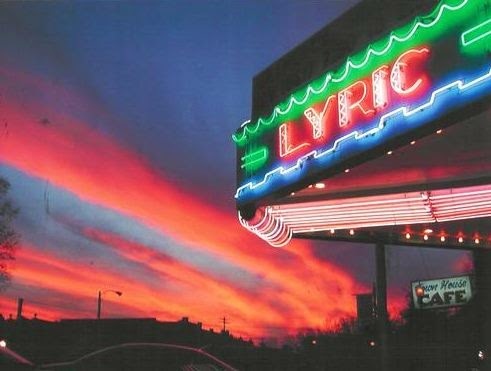 I sat in the historic Lyric Theater in Harrison, Arkansas, one afternoon as the seats filled with exuberant patrons waiting for the matinee performance. This small community was filing in to see the local theater troop perform the comedy Red Velvet Cake Wars. People waved to each other across the aisles and mingled to discuss the who's and what's of the past week. It was indeed a community atmosphere. I sat in the back of the hall in a quiet seat on an empty row, far from the chatter of the crowd. The world seemed to swirl just beyond my reach while I took my non-participatory station, out of the action. This station is familiar to me, and one I take in most events -- the observer. I watch the crowd from a short distance and wonder what it is like to be amid the conversation, shoulder pats, friendly laughs, and half-hugs. It is a feeling I have only rarely known and yet quickly realized was one of discomfort for me. I am better suited as the observer, silently watching the parade, noting its characters and plot twists, but never enveloped by the noise. And when the swirl of action proves enough, my station gives me smooth access to the side exit where I can take my leave into the stillness. So simple, yet so significant. Thank you for this reminder, Rita. I need to be the observer far more often. Each time I have stepped back I've gain much more than when I'm amidst.